Walking down a street in Finland on the evening of December 6th, you’ll see a flickering glow from the windows of each home. The practice is said to recall a time when two candles in the window was a sign to Finnish men on their way to war that the house was ready to offer shelter from the Russians. Others note that the same custom was done on the birthday of poet Johan Ludvig Runeberg as a silent protest against perceived Russian oppression. Now, it serves as a patriotic tradition to honor the lives lost and celebrate the independence of Finland more than a century later; but you too can join in the tradition wherever you are. 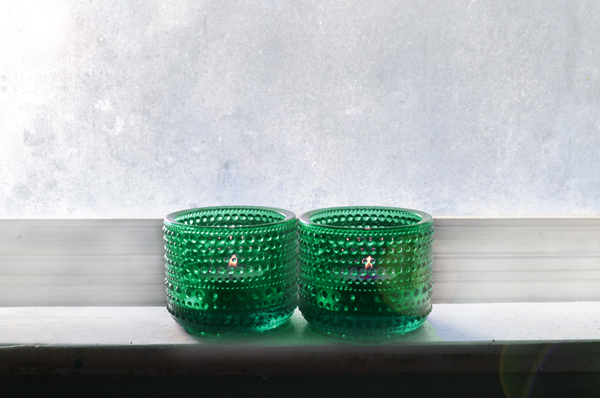 To commemorate the anniversary of Finnish independence in 1917, we are offering two iittala Kastehelmi candle holders free with your $101 purchase on December 6th (or while supplies last). The emerald green is a beautiful color for the holidays and beyond, as it's one found in Finland's many forests. It's a keepsake you or a loved one will cherish year-round and for years to come. ***The free gift will automatically be added to your shopping cart when you order exceeds $101. Offer valid December 6 only or while supplies last. One per household.